It's hard not to drool over the simple and elegant stockings from places like Pottery Barn, but the price tag can make the expense hard to justify, especially for a large family! 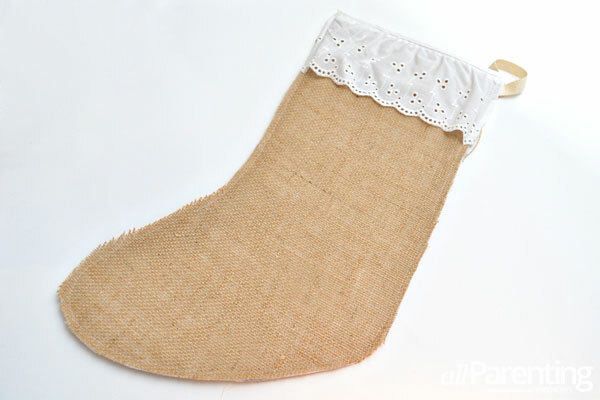 These simple burlap stockings are easy to make, but they have a touch of elegance that is practically catalog-worthy. 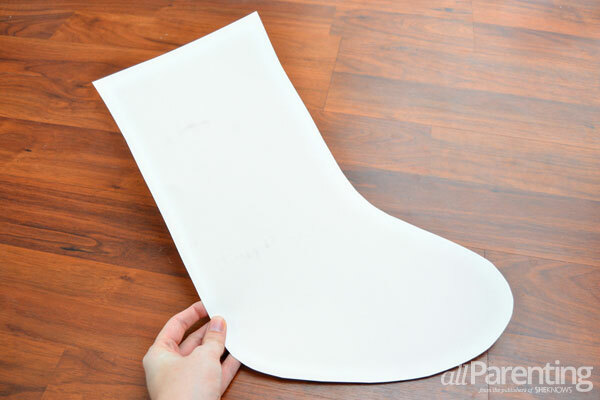 Cut out a stocking shape from the poster board. Trace one stocking outline on the fusible interfacing, then flip the poster board template over and trace a second stocking. Cut out both stocking shapes from the interfacing. 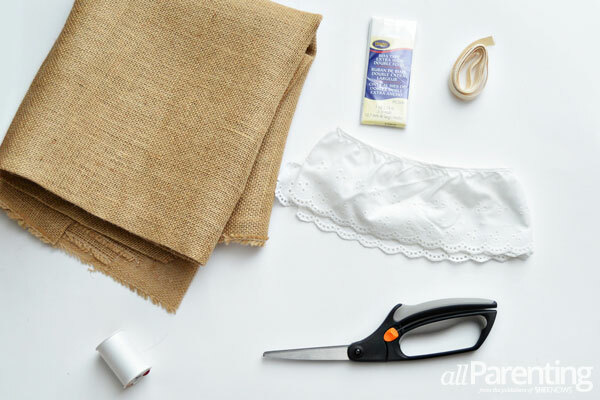 Lay the fusible interfacing adhesive side down on top of the burlap. 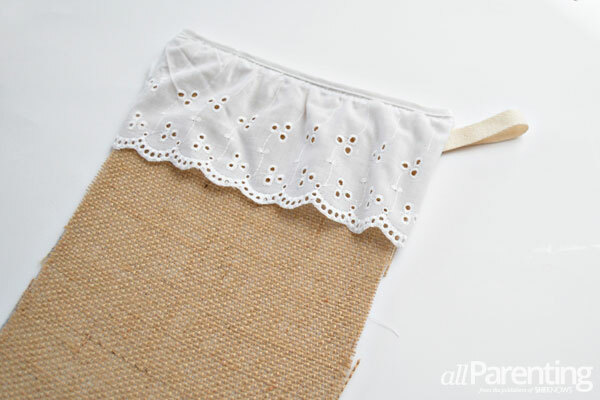 Iron the interfacing to the burlap, then cut out the burlap around the interfacing. Tip: You might want to use a pressing cloth between your iron and the interfacing. Cut 2 pieces of double-fold bias tape that are slightly longer than the top edge of the stocking. Fold the bias tape over the top edge of the 2 stocking pieces and sew it in place. 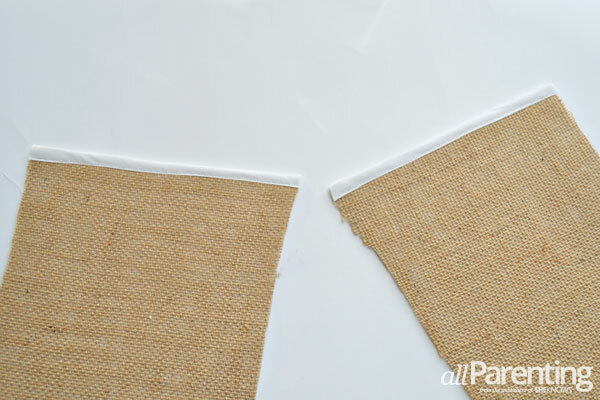 Trim off any excess bias tape on either side. 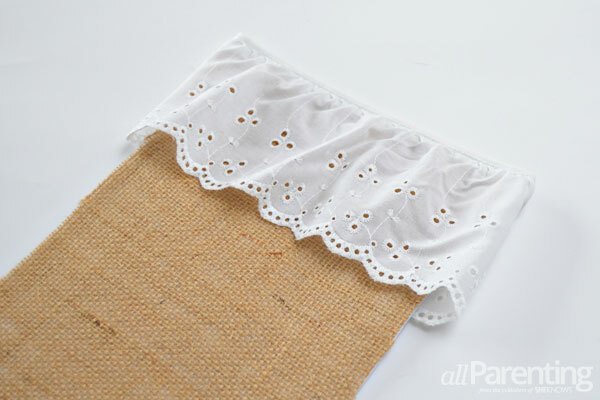 Cut a piece of eyelet trim that is slightly longer than the top of the stocking. Decide which piece of the stocking will be the front and sew the eyelet trim to the top edge of that piece. 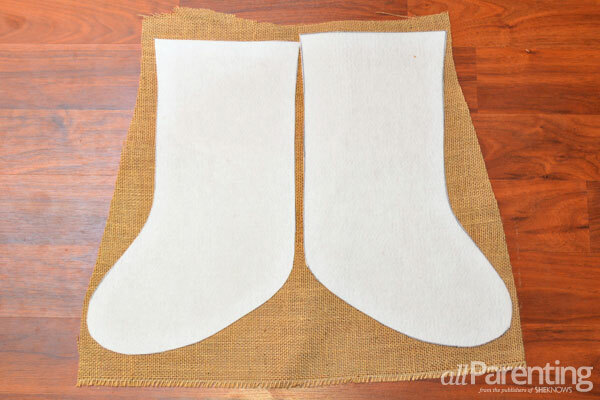 Fold any overhanging eyelet trim around the edge of the stocking, then place the 2 stocking halves on top of each other with burlap sides facing out. 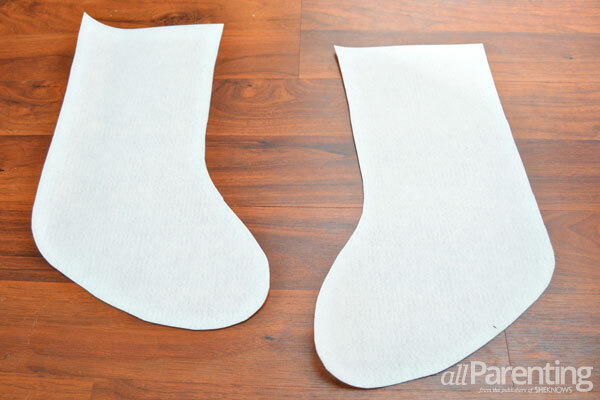 Cut a 4-inch piece of twill tape, fold it in half and slide it in between the two stocking pieces toward the top. Sew all along the outside edge of the stocking (leaving the top open) with a 1/4-inch seam allowance. Trim along the stocking outside the seam to clean up the edges. 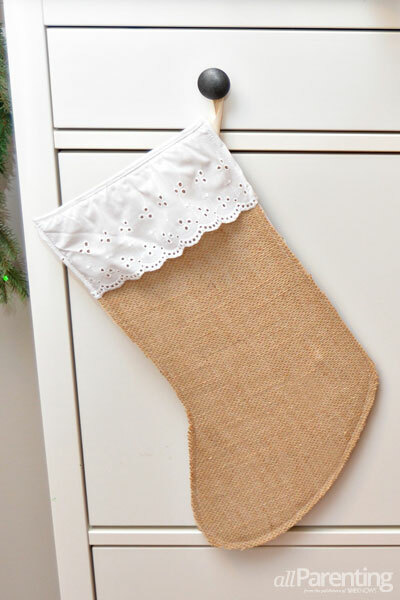 Repeat these steps for any additional stockings, and then hang your pretty burlap stockings!